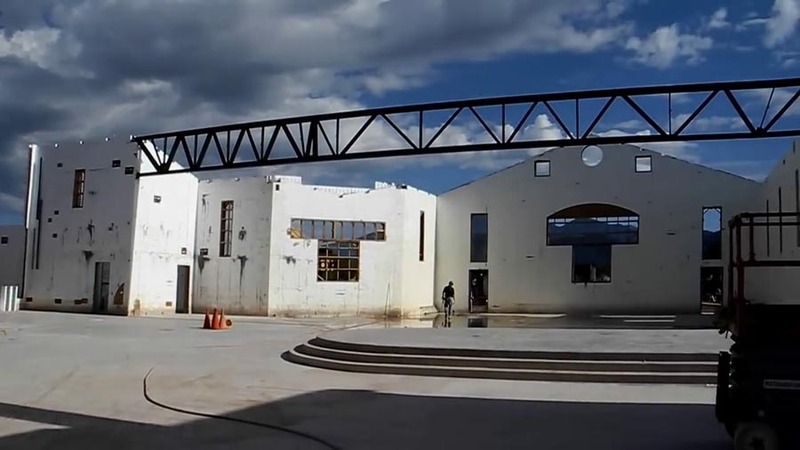 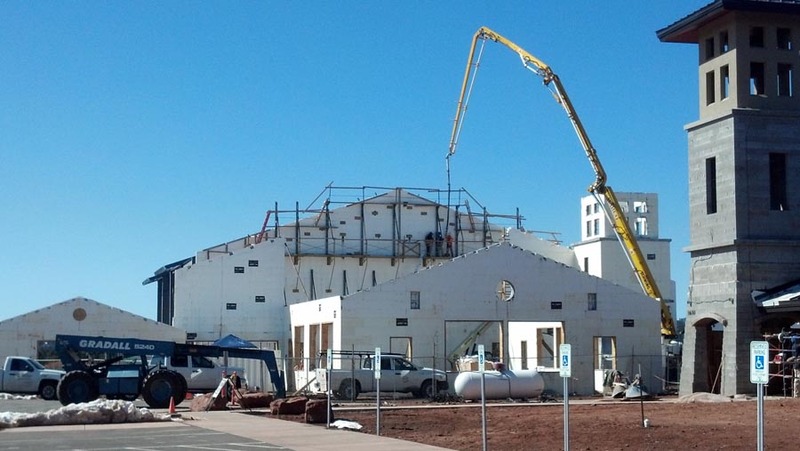 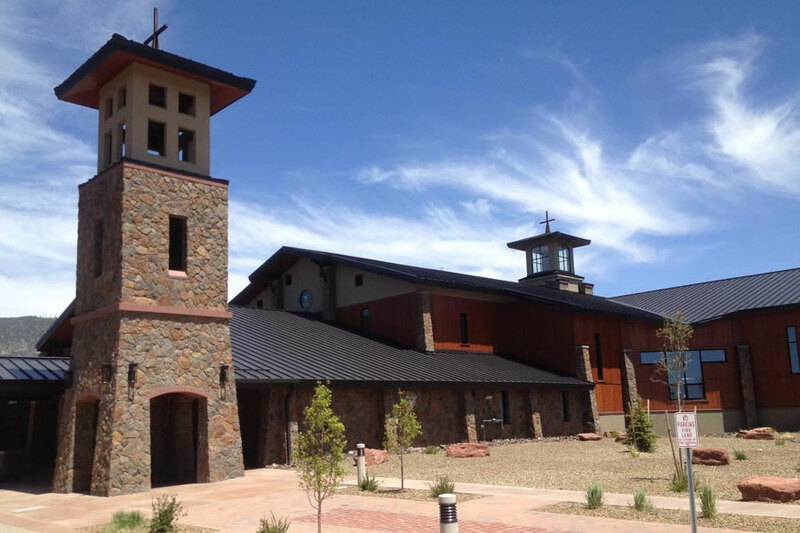 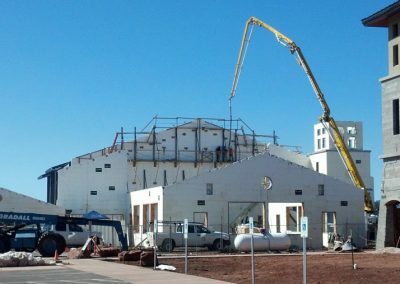 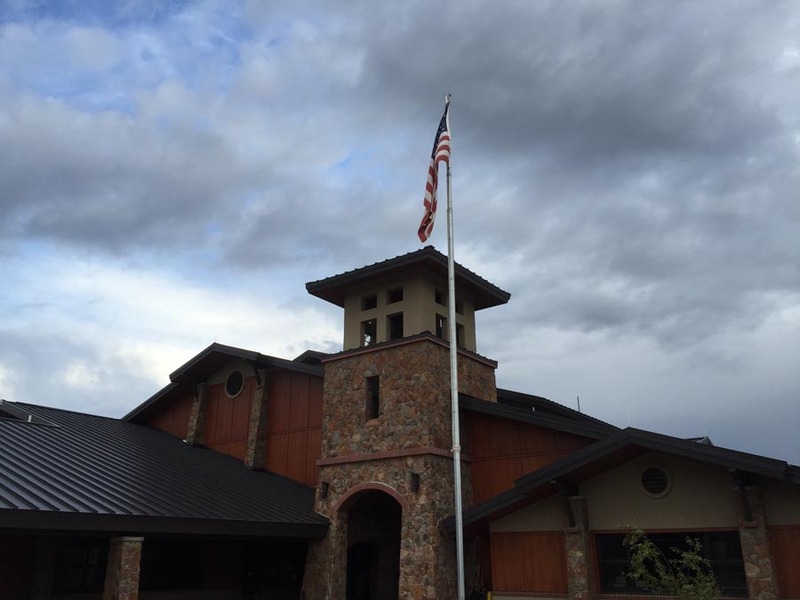 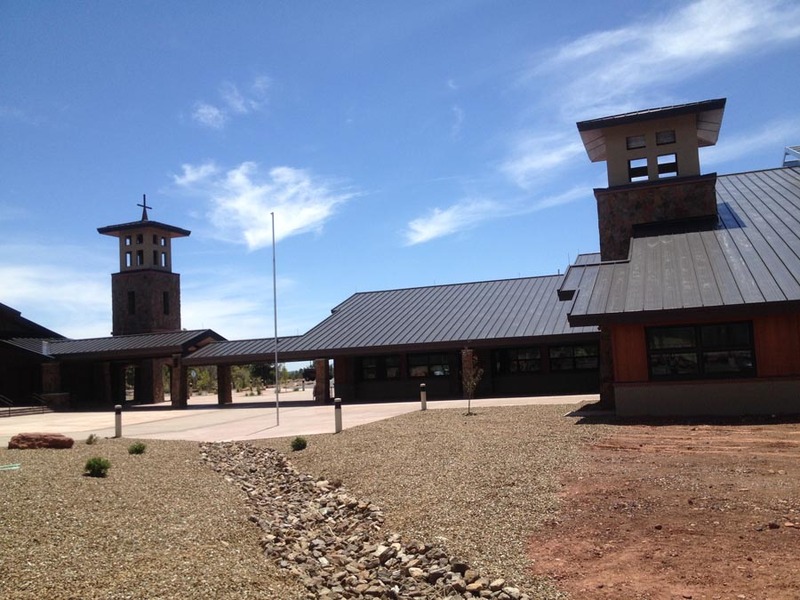 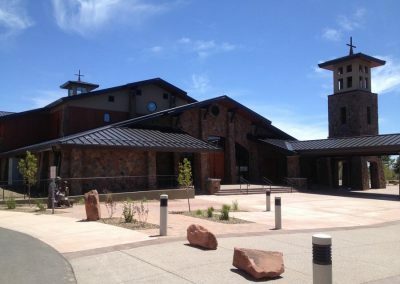 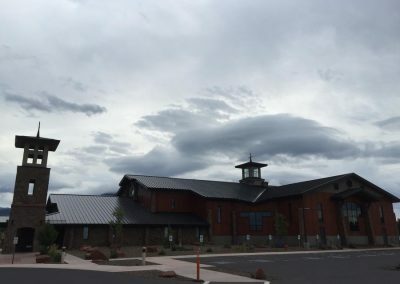 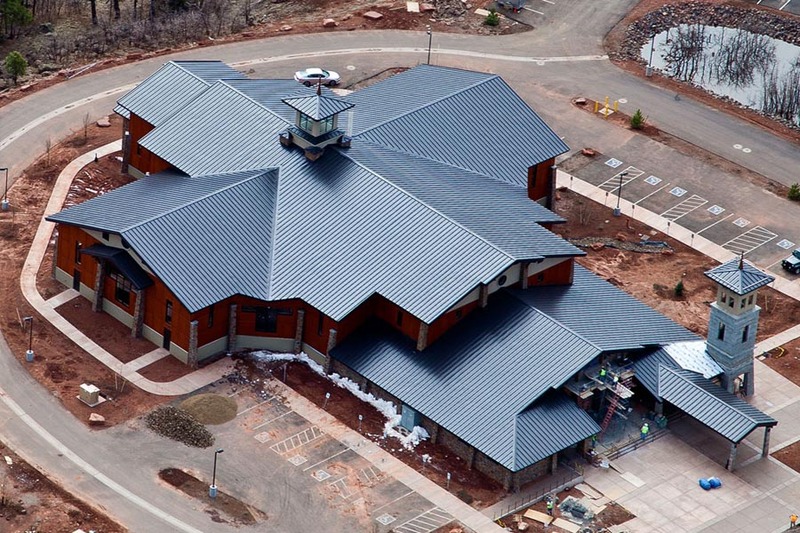 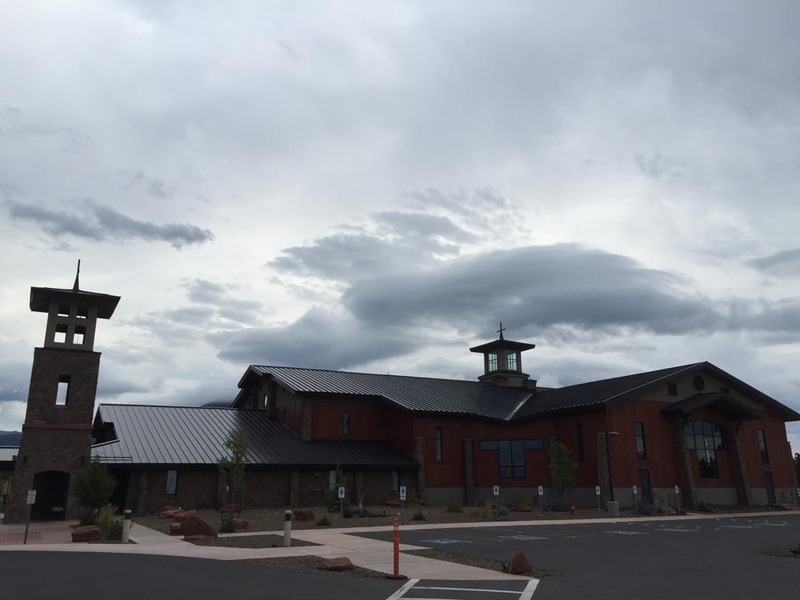 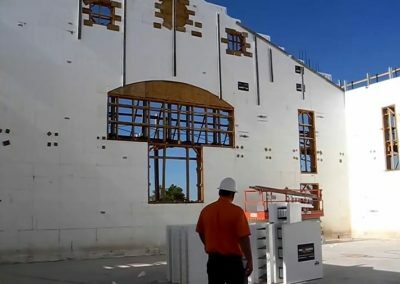 The San Francisco de Asis Church in Flagstaff, Arizona, is the latest ICF project completed for the Phoenix Archdiocese of the Catholic Church. 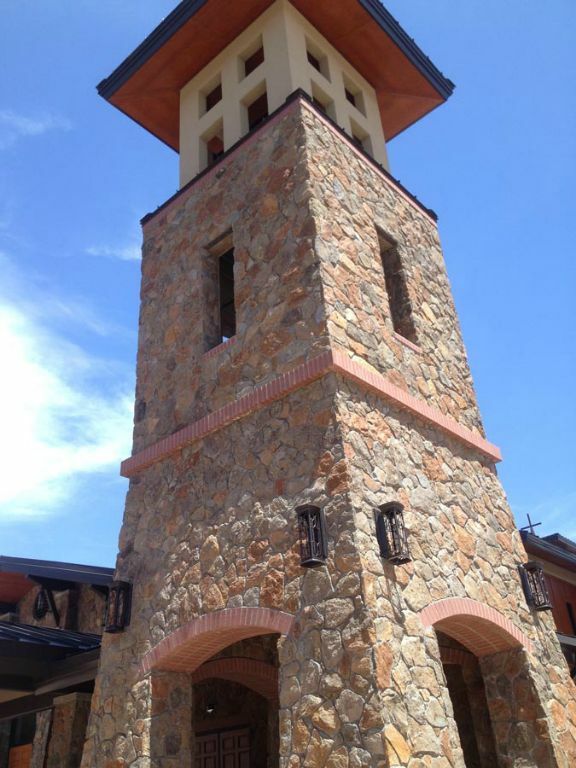 With soaring ICF gables and an elegantly sloped bell tower, it is truly a landmark project for the region. 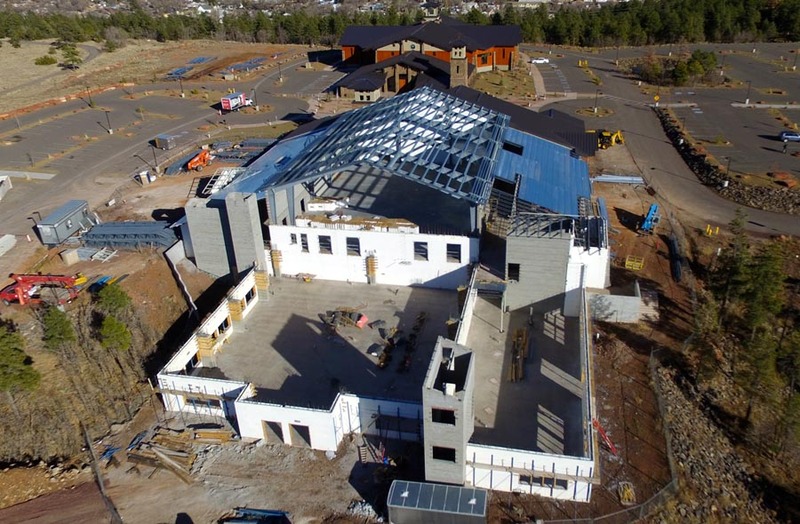 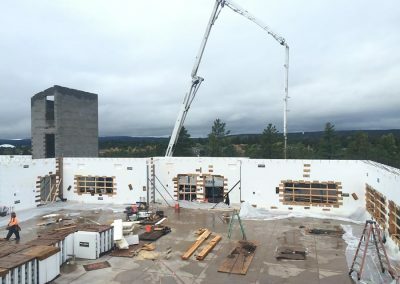 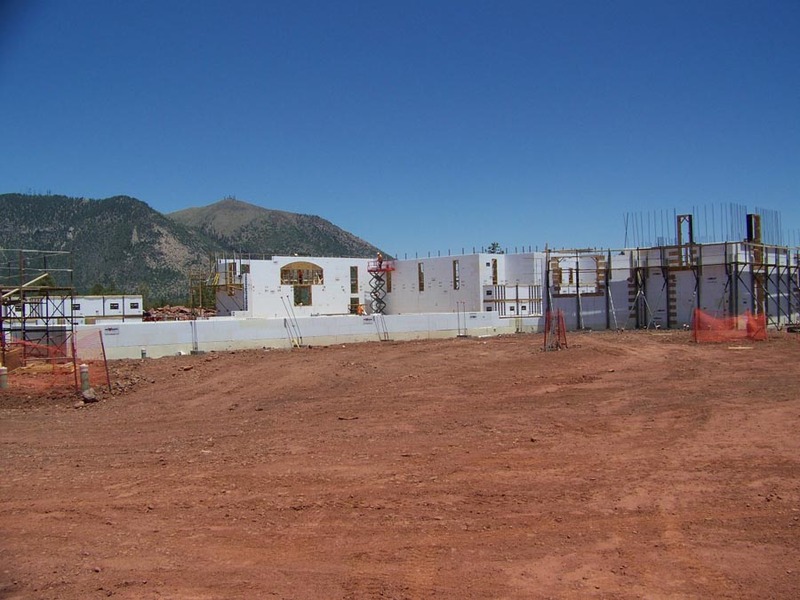 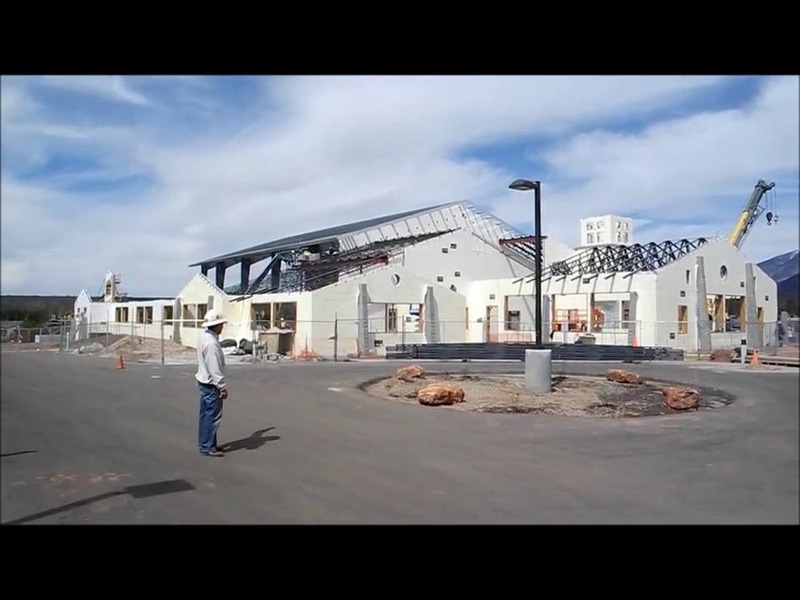 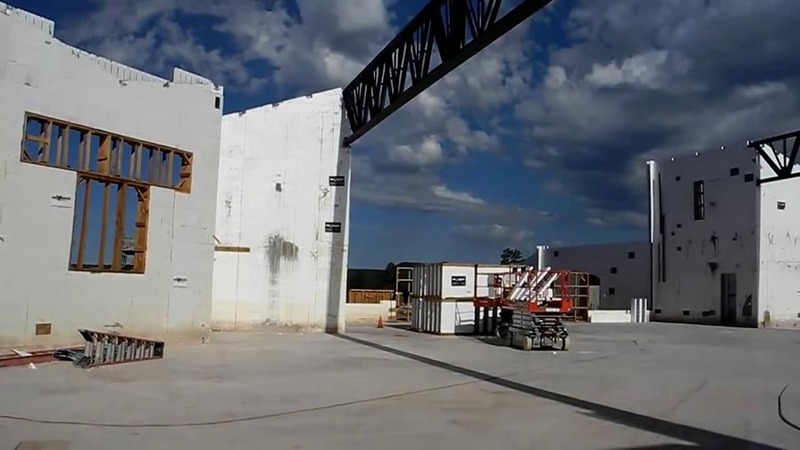 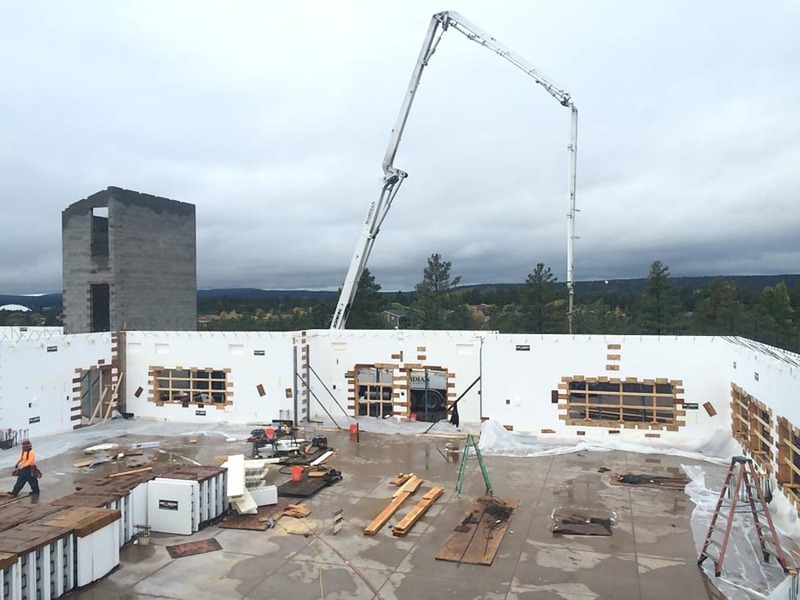 “There is no building in northern Arizona that utilizes the ICF concept as this project has,” says Rick Chalupnik, a project manager at ICF Specialist who supervised the install. The building is named after St. Francis of Assisi. 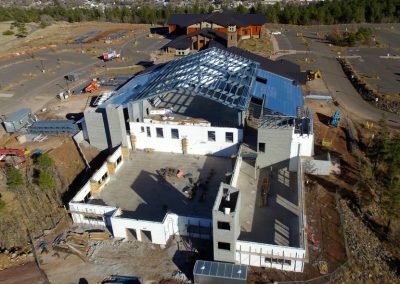 The archdiocese has built almost two dozen schools, churches, and administrative buildings with ICFs over the past decade with good results. 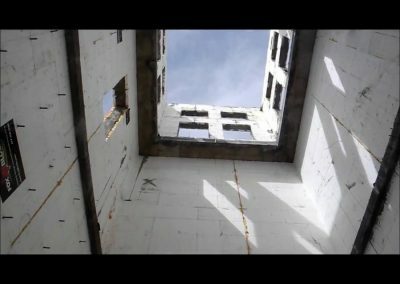 The decision to use that technology for this project was simple. 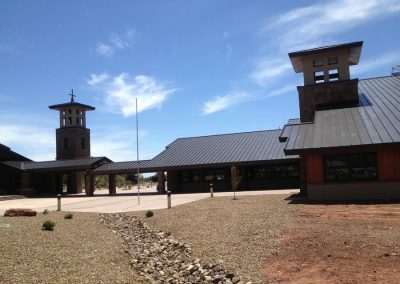 The church is laid out in the traditional cruciform shape, with a broad nave to accommodate the congregation. 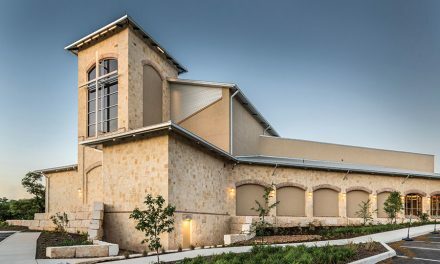 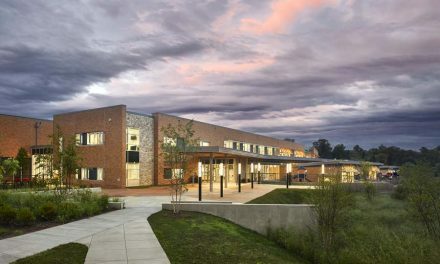 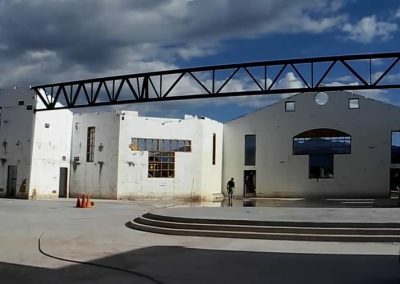 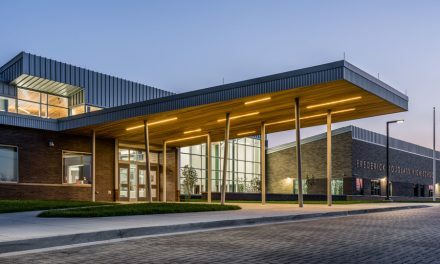 As the church was nearing completion, the construction team moved on to the second phase of the project, a K-12 private school adjacent to the worship facility. 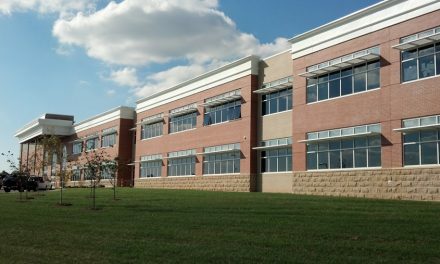 Together, the two buildings comprise 90,000 sq. ft., and used just more than 50,000 sq. 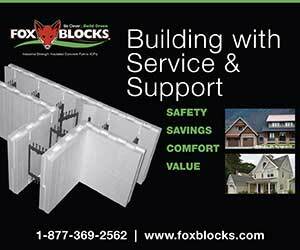 ft. of Fox Block ICF. 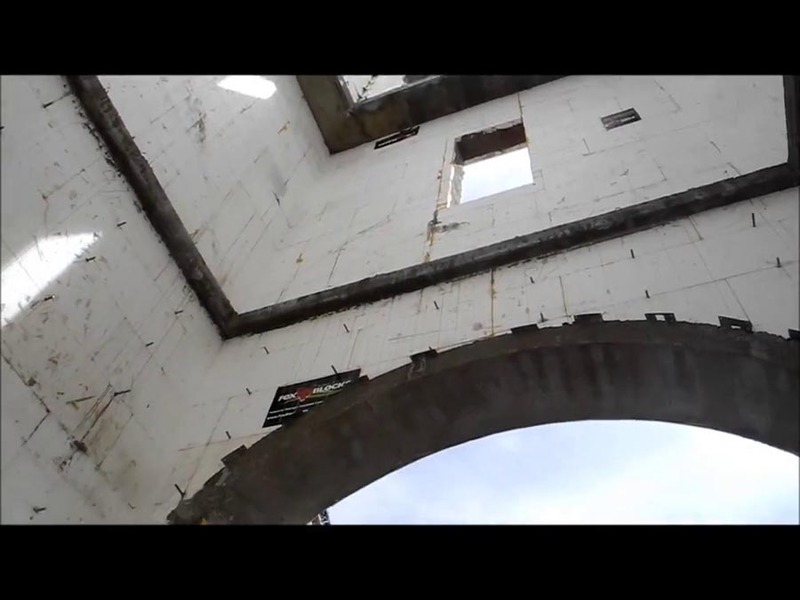 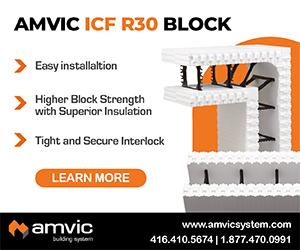 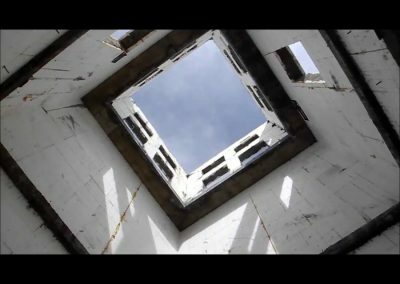 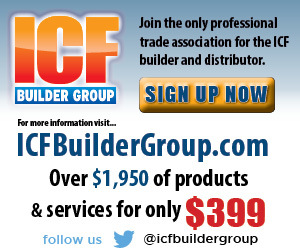 The ICF installers faced several daunting challenges, which they solved with ingenuity and craftsmanship. 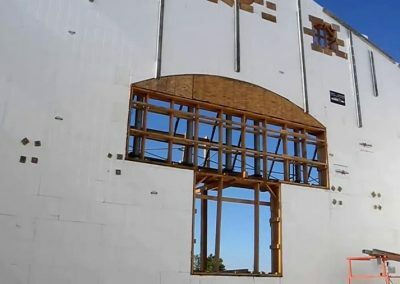 Gables on the church and school reach 40′ high without intervening floors, and the walls included several large, unusually shaped window openings, which were bucked and reinforced with lumber. 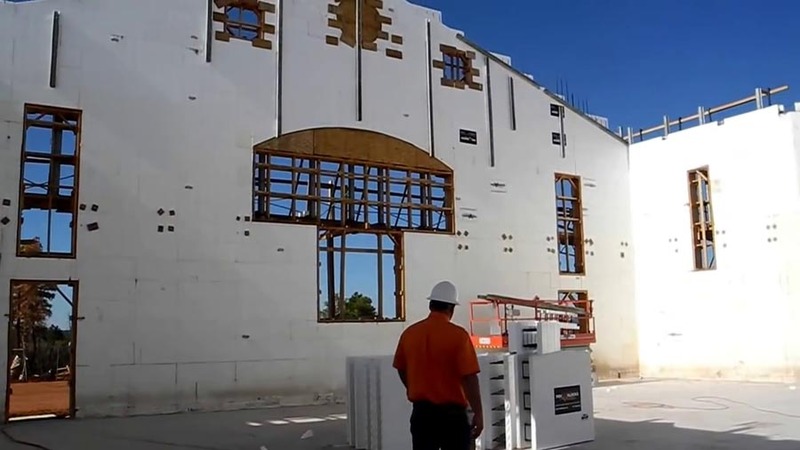 Perhaps the most challenging part of the build, from a craftsmanship standpoint, was a bell tower poured with sloped ICF walls. 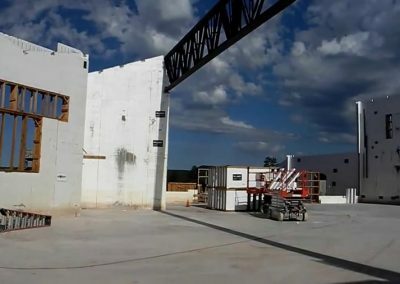 Wider at the base than it is at the top, the 40-foot tower was originally specc’ed to be built with CMU, with each course “stair stepped” in slightly. 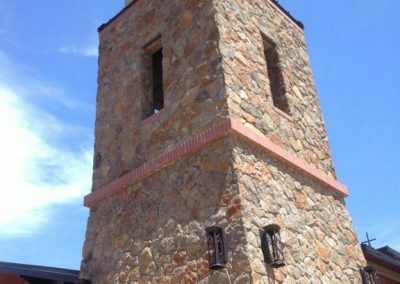 In fact, the church’s tower was built that way. 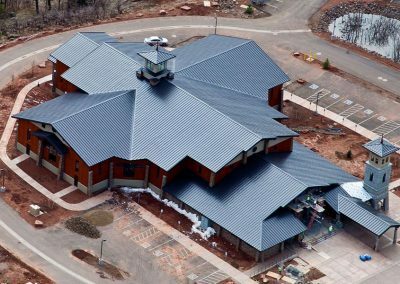 However, the expense of furring and finishing was significant, and the GC decided to build the school’s matching tower with ICF. 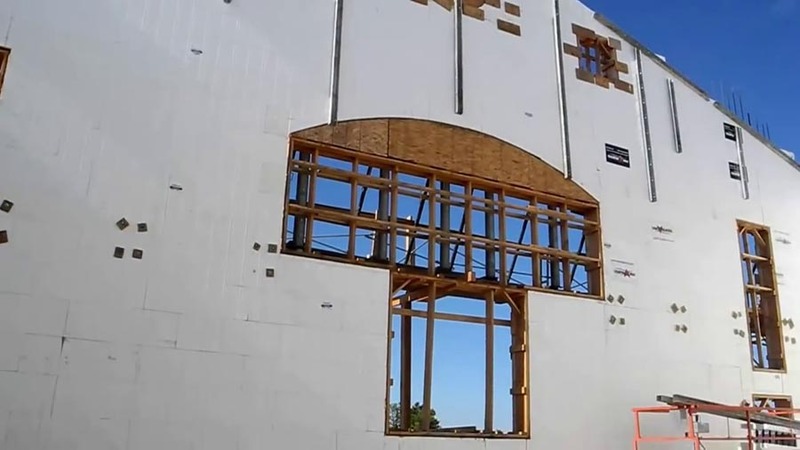 The walls would need to be stacked and braced significantly off plumb—about six inches in four feet on the lower section. 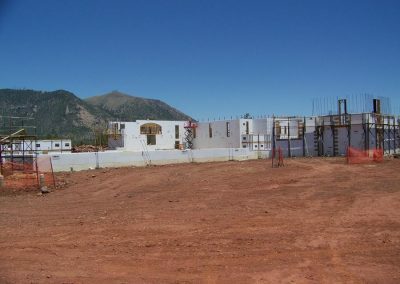 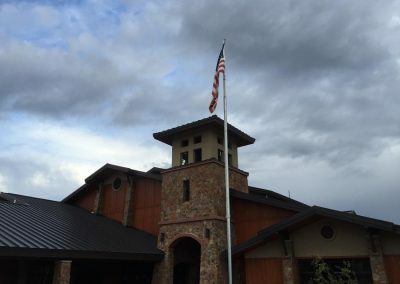 Due to budgeting, the project needed to be phased, and Flagstaff, located in the mountains of Northern Arizona, has an elevation of nearly 7,000 feet. 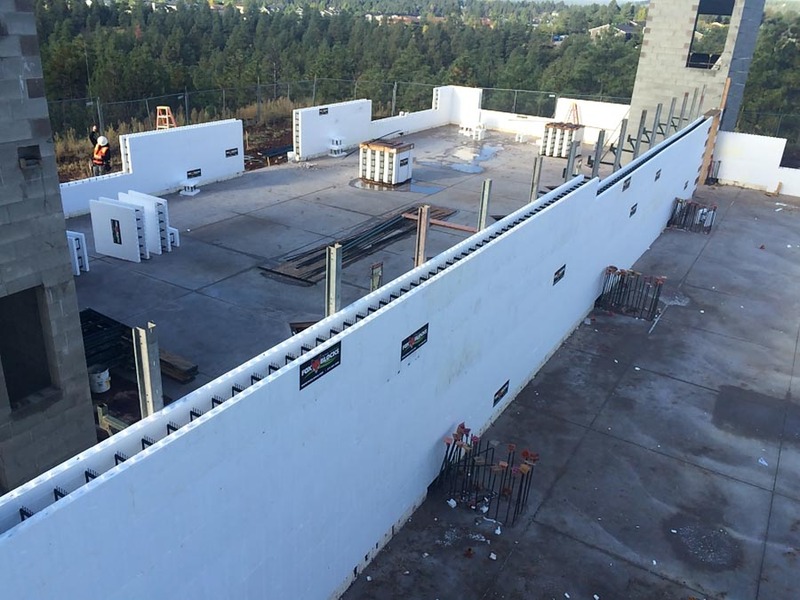 As the project extended through several winters, some of the ICF work took place in temperatures well below freezing. 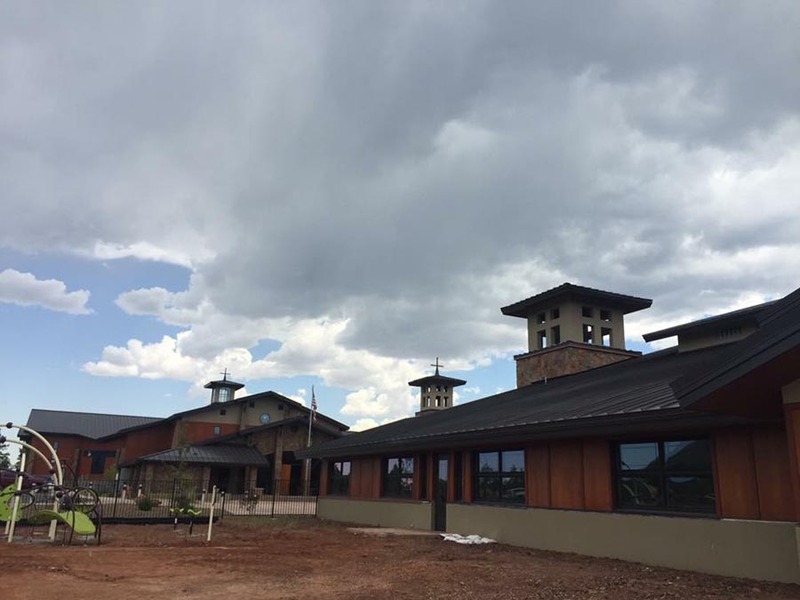 The church and administrative buildings were completed early in 2016, with the final phase of the school wrapping up in November of 2016. The priest and parishioners alike are extremely pleased with the final result. 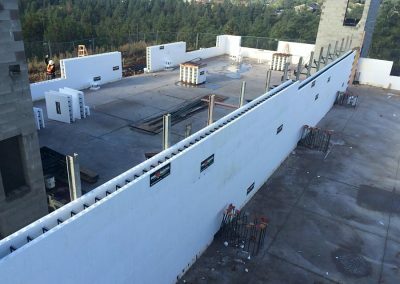 ICF Use: 50,610 sq. ft.